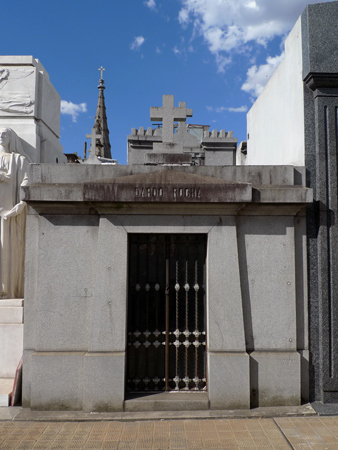 In Recoleta Cemetery, several tombs have been “vacated” by their former residents. Most, as with José de San Martín’s parents, have been returned to the place they were from. But that is not the case with Dardo Rocha, one of the most active politicians of the 19th century & founder of the city of La Plata. Born in Buenos Aires in 1838, Rocha studied law & like almost all politicians of the era, first joined the military. He fought in the War of the Triple Alliance, where he was badly injured in the battle Curupaytí… the same skirmish where the adopted son of Domingo Faustino Sarmiento died. Rocha later occupied several government positions, but he is most remembered for his role in the foundation of the capital of Buenos Aires Province. 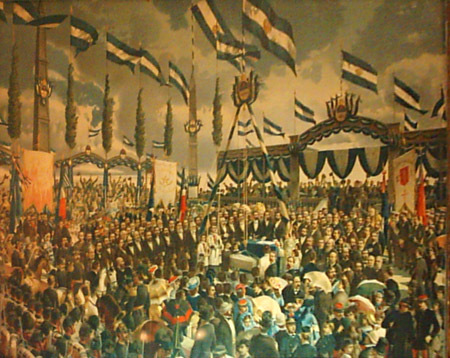 After the 1880 Revolution which officially separated the city of Buenos Aires from its province, Governor Rocha needed to create a new city to house provincial authorities. A commission began searching for different locations for the new city, prioritizing the terrain & easy connection to Buenos Aires. Dolores, Quilmes & Chascomús were options but in the end Ensenada was chosen for its proximity to the river & already having a rail line in service. The city would be built from scratch & Pedro Benoit, a personal friend of Rocha, was invited to design it. President Julio Argentino Roca was absent with no explanation & was instead represented by Minister Victorino de La Plaza. 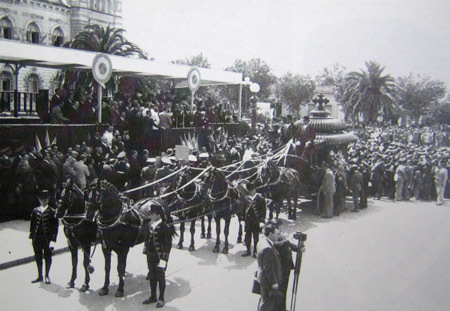 The distance between Rocha & the President became evident in 1886, when Roca decided to support instead his brother-in-law Miguel Juárez Celman as presidential candidate. 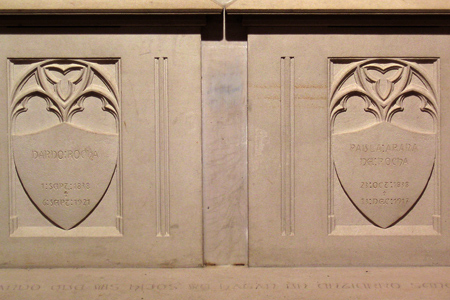 Retired from public life & a widower since 1917, Rocha passed away in his Buenos Aires residence in 1921. 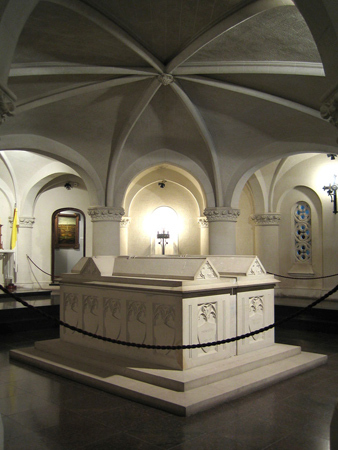 After the home wake, his remains were taken to Recoleta Cemetery two days after his death. The Province of Buenos Aires governor sent a telegraph to Rocha’s son, stating that Dardo Rocha should be laid to rest in La Plata. But the request was denied since Rocha’s will expressly stated that he be buried in the family vault in Recoleta alongside his wife. Update (08 Dec 2011): Marcos Arana Panissal, who claims to be a direct descendant of Dardo Rocha, filed a request yesterday with the Archdiocese of La Plata to remove his ancestor’s remains (& those of his wife) from the cathedral crypt to a more prominent location. Panissal also claims that Rocha was not a practicing Catholic, so the current burial spot is inappropriate. While city officials check genealogy, Monsignor Raúl Gross finds the request odd… especially because every November 19th (the day La Plata was founded), many of Rocha’s descendants participate in a commemorative mass held in his honor. Stay tuned & click here to read the entire article (in Spanish). Gracias Nicolas! Felices fiestas y que tengas un buen 2010!